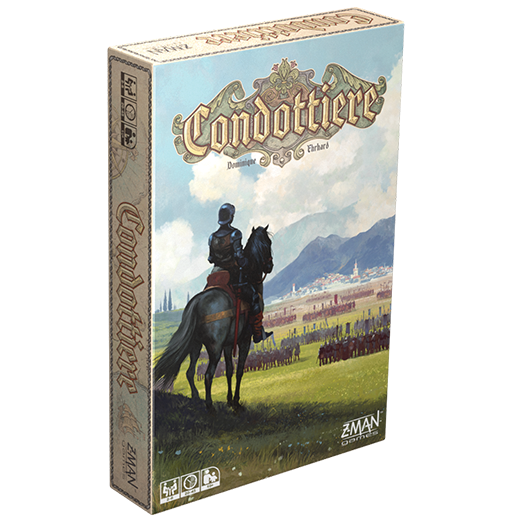 Use the Condottieri, ambitious mercenary leaders, to strategically fight for control of desirable regions in Italy in this classic card game. 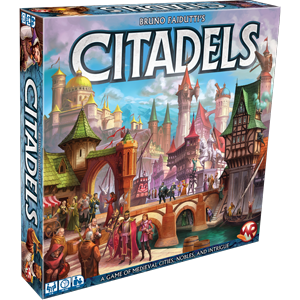 The many city-states of Italy have flourished and grown rich thanks to prosperous trades. The wealth is too big of a temptation for their neighbors to pass up. Each city-state is jealous of the other, but a weak national army requires them to call in reinforcements. 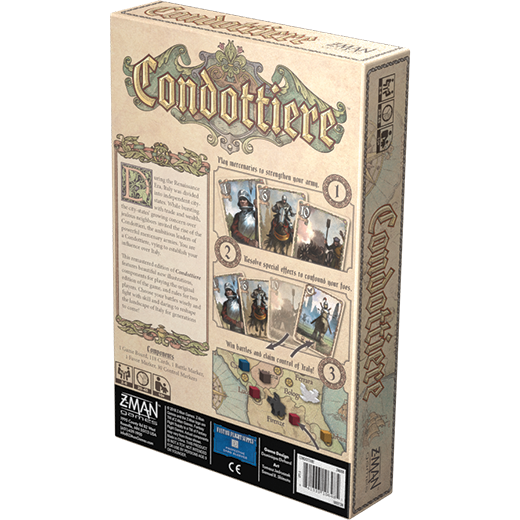 Known as the Condottieri, these mercenaries are ready for battle. 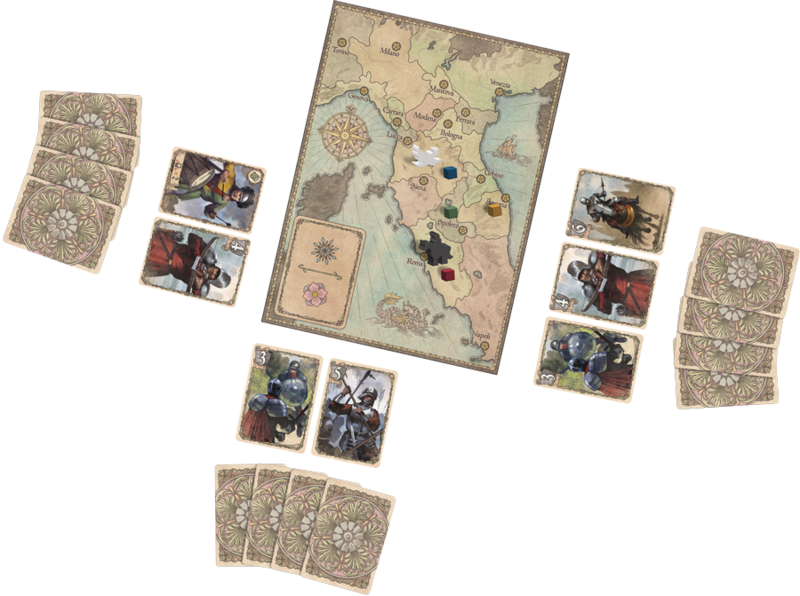 March your army to a new region and carefully manage their strength to win the battle and establish control around Italy. Only the strongest can win the battle. 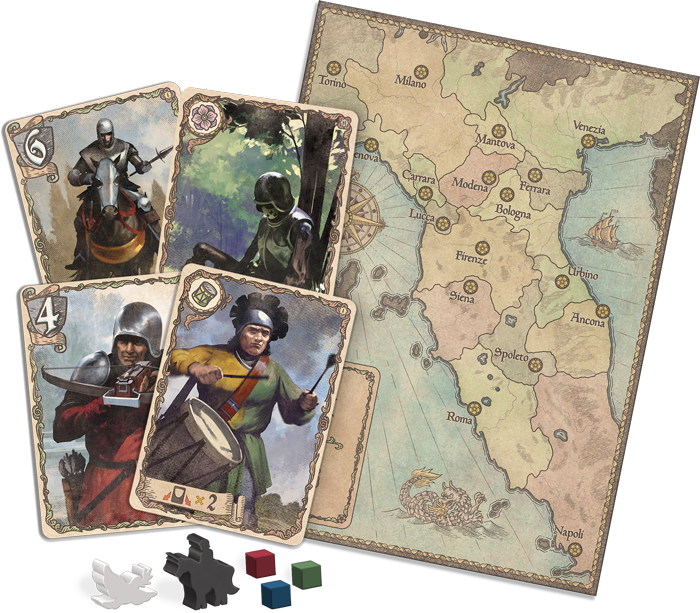 From the lowly foot soldier with a strength of 1 to the booming canon with a strength of 10, the mercenary cards form the backbone of your army. 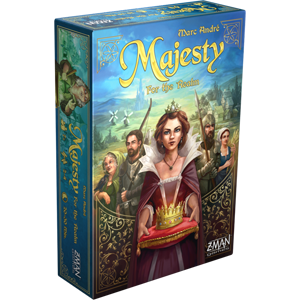 Strategically choose which mercenaries to send out to the field to match your opponents’ strength. 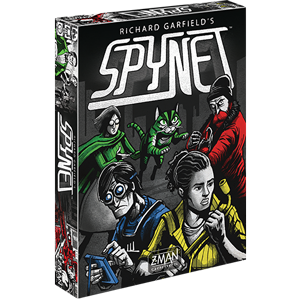 Think ahead and play the special effect cards at the right point in the battle to turn the tide in your favor.